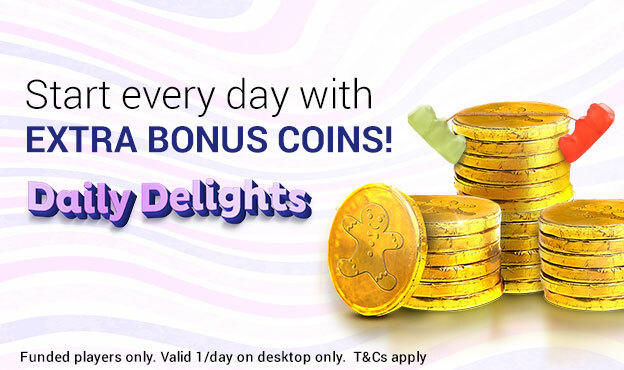 What better way to start your day than with some extra bonus coins?! With Sugar Bingo's Delicious Daily Delights it's as easy as pie! We want to help you begin your day the right way - with an extra dollop of sweetness! Receive bonus coins on your first visit of the day to our site. Only Funded Players are eligible for collecting Daily Delight coins. Daily Delight is only available on desktop, after login. Only one Daily Delight will be issued per player per day. The collected amount of Free Coins will be credited to the player's account within 15 min.